The picnic shelter accommodates 120 people, has two fireplaces, and has access to drinking water and restrooms. The shelter is not handicap-accessible. 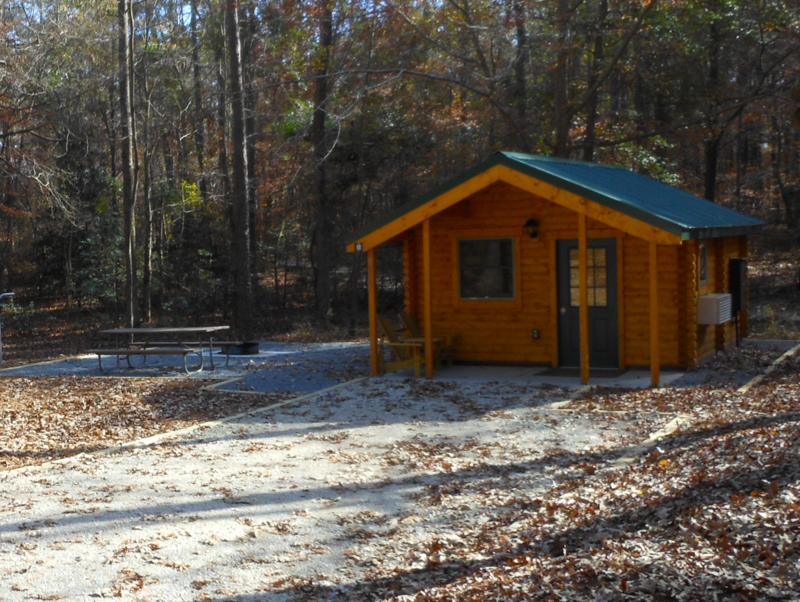 The park also has camper cabins located in the family campground (sites 7, 9, and 11) These cabins sleep six (6) in two rooms with a double bed and two sets of bunkbeds. Each cabin has electrical receptacles and a heating and air-conditioning unit. Outside cabin amenities include a picnic table, charcoal grill and a fire ring. Site 9 is ADA compliant/accessible. Cabins are non-smoking. Pets are strictly prohibited, with the exception of service animals and authorized search and rescue dogs. The auditorium accommodates up to 60 people and has video projection equipment and a smartboard. Water fountains and restrooms are nearby. Reservations are required. Please call the park for more information.